We’re not scientists or politicians, but know how unusual this weather is because we’re outside in it. Something else is changing too, a prevailing trend of public opinion and other aspects of public life. The climate for sure and so much else…will think more about that ticking off the miles. Issue 41 just dropped on iTunes and the Web. It includes articles about riding in the rain and how we’re getting through this rainy season. Our magazine is ad-free, subscription based and costs $4.00 an issue or $16.00 per year. 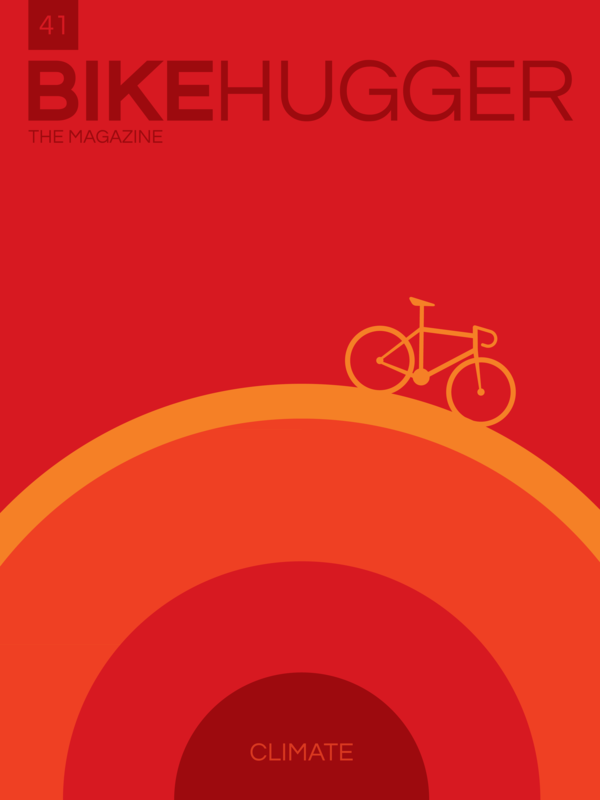 Bike Hugger Magazine is published once a month. The app is a free download and includes one free issue. After that, auto-renewing subscriptions are $15.99 for a full year. To read issues from before your subscription began, pay for them individually at $3.99 per issue. When you become a subscriber, you can download any issue published while your subscription is active. If your subscription lapses, you will still be able to read the issues published while you were an active subscriber. Tap the “Restore” button to make previously purchased issues available on your iPhone, iPod, or iPad. You can update or opt out of renewal for your subscription in your iTunes Store account settings. Subscriptions automatically renew at the same cost to your iTunes Account within 24 hours of the end of the current period. We’ve published 41 issues so far.